Correa reflexa ‘Brisbane Ranges’ is startling with its bright red with green tubes. I noticed the New Holland Honey Eaters going over every flower a few weeks ago when it was in full flower. They must be able to smell the nectar. The Brisbane Ranges are in Victoria and the Correa named after them is quite hardy. I have still to learn more about the cultivation requirements as I am a bit tentative about leaving it to its own devices. Someone gave me a garbage bag of Correa cutting material years ago and this was one of the plants I propagated from the pieces in the bag. The Correa in the last Post was also one of the plants that I propagated. This plant is summer flowering which is a nice change as there are not too many Australian Native plants which flower at this time of the year. Most are finishing around Christmas time. It is under a metre tall and wide and is exposed to full sun light most of the day. It is in a location under mallee trees and where there is some limestone rubble in the soil. 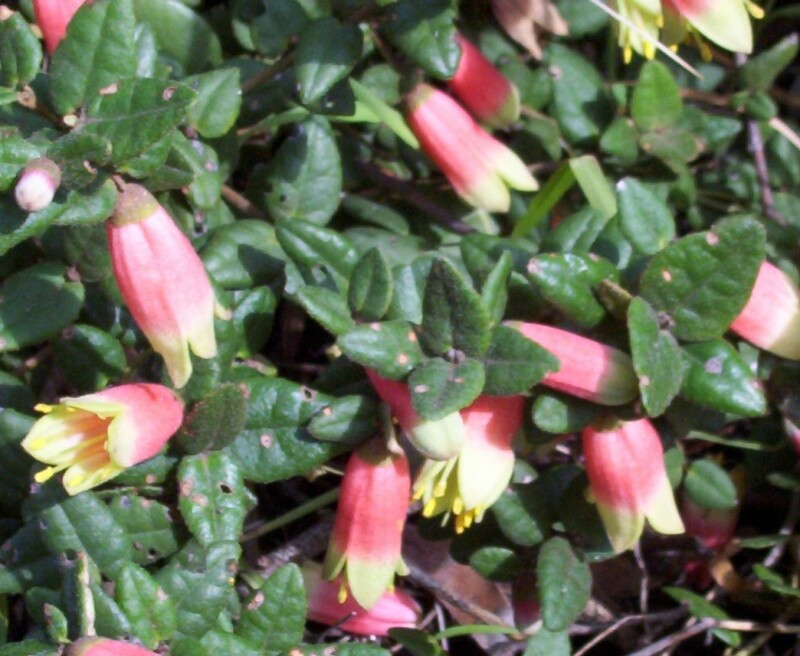 Correa reflexa is my favourite Correa because of the many different forms that can be found. They all tend to be tolerant of dry positions and some are suitable for coastal planting. In general they prefer shade for at least part of the day. Most of these varieties are known by their original geographical location if they have some distinctive feature. Like Correa reflexa ‘Sellicks Beach’ mentioned here. This immediately indicates that it would be a good plant for coastal planting. I have a few different forms of Correa reflexa. 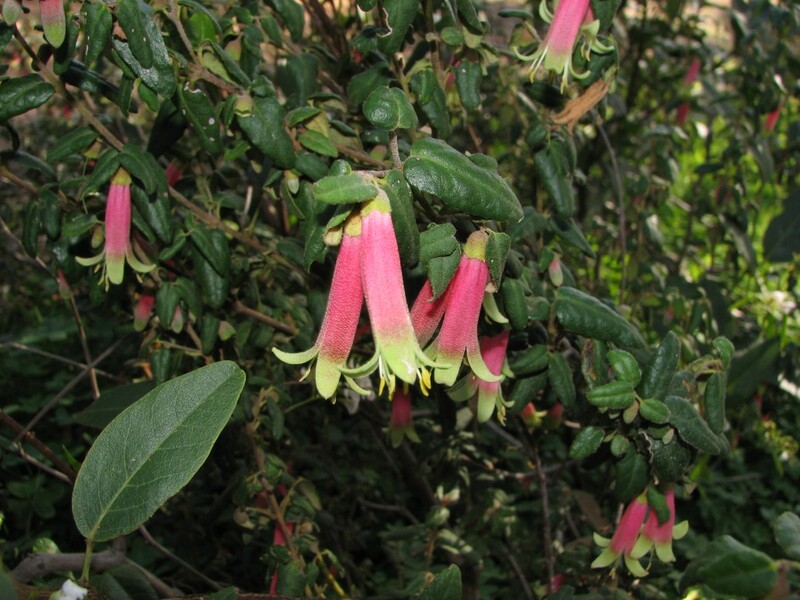 This one I always assumed was a hybrid with Correa decumbens which has tubular flowers that point upwards. 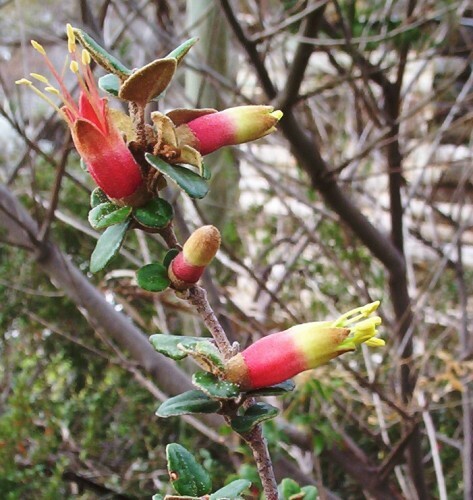 Once I had taken more notice of the forms of plants I realised that what I had was another form of Correa reflexa. The leaves were different to others and the flower shape and colour was different. ABC TV featured tonight amongst other things, a Correa glabra from Victoria which had green flowers. A number of Correas have green flowers, including some forms of Correa reflexa and Correa calycina. One form of Correa glabra with green flowers from the Grampians area of Victoria, has grown very well here with afternoon shade and our low rainfall. We had temperatures up to 44C today. Growing the Correas where they get part of the day in dappled shade seems to save them from drying out too much. In pots they become very hot and I need to find a way of protecting the pots. Of course the best way is to get the plants in the ground where some extra mulch would keep the root systems cooler. I found years ago with my first planting of Correas that they grew very well in the dappled shade of the mallee trees despite the root competition from the trees. And despite the water repelling nature of the mallee soils. With each plant on a dripper, a micro climate seemed to develop. 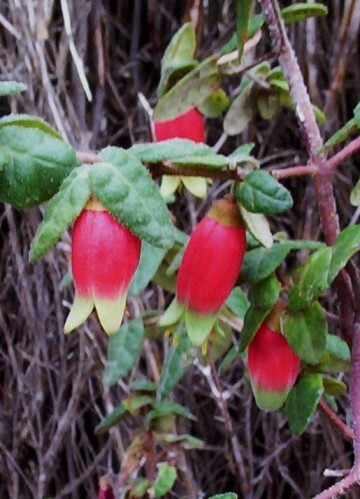 Correa reflexa is a variable species and appears in many different colour forms and leaf shapes size of plant. The many different forms of Correa are generally referred to by the area or district from which they were collected. These plants give me much pleasure. Some have a fruity frgrance to the leaves. Most are very hardy plants. Birds particularly like them as the tubes contain nectar. The plant in the photo has been growing in part dappled shade at the base of some mallee trees for years. It grows to about 1-2 metres across and 30cm tall here. Better conditions may produce a larger plant. It makes a useful ground covering plant with its low mounded form. As indicated by the name it is a form that is useful for coastal planting because of its salt tolerance. It is drought resistant and also appears to be moderately frost tolerant. You are currently browsing the archives for the Correas category.